I had asked on Twitter which I should post about first Venique or another ORLY MegaPixel and Venique won the majority so here we are! I do feel bad about doing this post, since Venique isn't readily available to the public.. well let me rephrase that, I just found it on Amazon, so I don't feel AS bad. But if you are a beauty professional you can find these at Cosmoprof. I do want to warn you, I'm not too fond of the pictures. I have been having the biggest issue with my camera. I've been using my Dad's for my nail posts because mine wont focus at all. I definitely hope you all love this mani as much as I do! I also want to say sorry for the state of my hands/cuticles. They've been so dry but I've been doing some pretty heavy yard work so they are pretty tore up right now. I am trying to get them looking decent though! Steel Toe Stud is a grey creme polish that has a distinctive purple undertone to it. I'm looooving grey polishes like this! Me gusta mucho! Anypoodle. 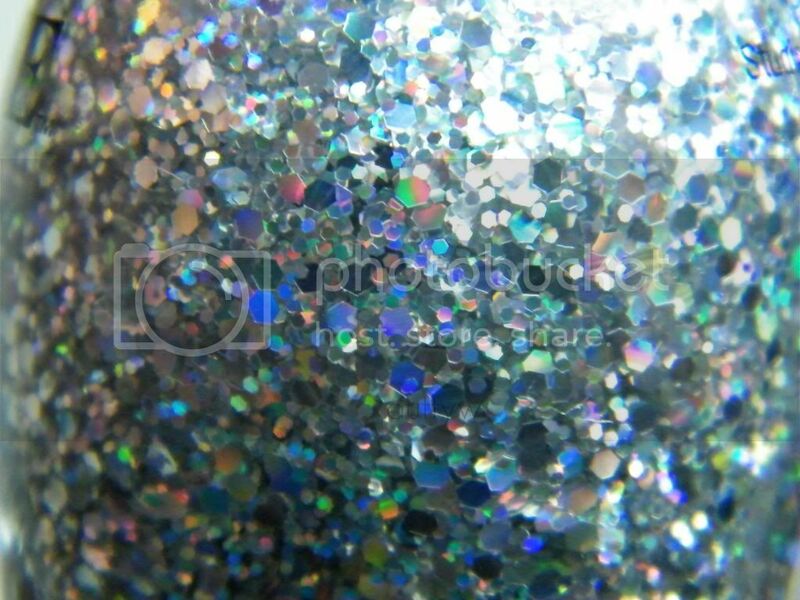 Twinkling Glitter is a hexagon holographic glitter. 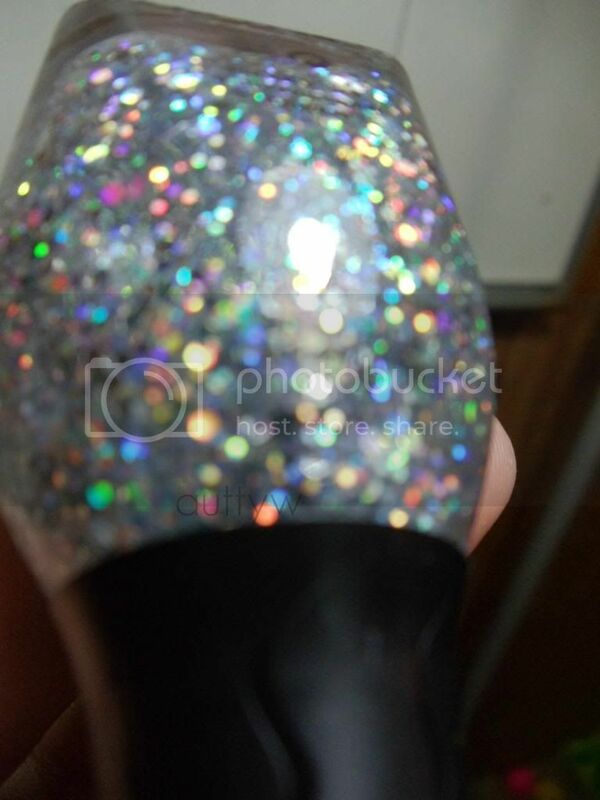 When I saw this polish I couldn't pass it up!!! As you can tell, the glitter didn't exactly apply evenly. I definitely had to dab dab dab to get a decent amount, which is definitely okay. It's worth it in the end! I actually really love this combination of polish. Is Steel Toe Stud unique? Definitely not. I think I have a couple other polishes that are similar to this, but I couldn't pass this up at all! 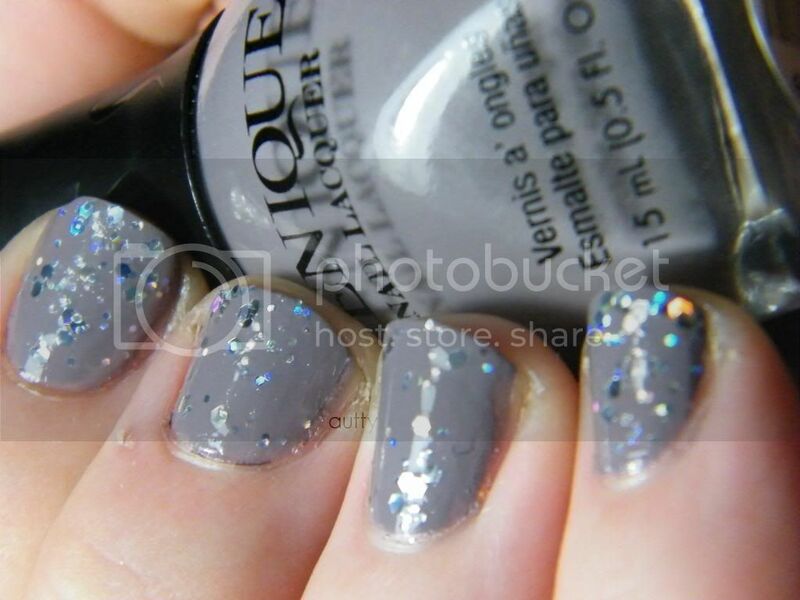 Venique's polishes launched in 2011 and are marketed as a ONE coat polish... When I talked to the woman at Premiere Orlando, she said if you want it to be one coat, you have to do a thick-ish coat... I don't play that way so I did two thin coats. These both dried really quick. Not super quick but I was done in about 10-15 minutes from start to finish. Basecoat-top coat. Just because I couldn't get the twinkle factor that I wanted, I took an out of focus picture. Still, it's insanely gorgeous. I can't wait to try this over other polishes.